In case you have not heard, Windows 10 is about to be released to the masses. The new version is set to be released on July 29, 2015, and you can reserve your place in the installation queue now. The new version of Windows is slated to have a host of new features and options. And, don’t think you missed a whole version in Windows 9 because Microsoft opted to skip 9 in their numbering system and go straight to Windows 10. One of the most welcome additions to Windows 10 will be a new Start menu which will be hailed by Windows 8 haters. They have toned down the Metro UI charms that bugged so many people as well. It will also boast new methods to login to your PC and a new browser called Edge. And, it even included Office products Word, Excel and Powerpoint. Another useful feature of Windows 10 is Cortana. This is a personal assistant installed on the computer that is similar to Apple’s Siri. But, fans of the game Halo will have a smile on their faces because it is the same voice of Cortana found in the video games. If you already have Windows 7 or 8, you can get upgrade to Windows 10 for free. You can even qualify if you have a copy of Windows that is not genuine. You may have already noticed an icon in your system tray inviting you to reserve your spot for the update to Windows 10. This version of Windows may be the last major update of the operating system. Since it appears that Microsoft is going to a different model to implement its OS, it may be that future updates will come as small, incremental changes that are rolled out over time. These versions will be released in both 32-bit and 64-bit versions. 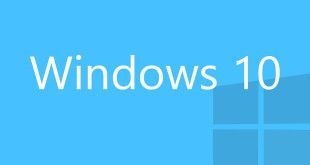 Windows 10 is being lauded as a pretty good operating system by those that have been going through the technical preview. If you are interested in being an early adopter, then you will want to reserve your spot soon. There is a good bet that Microsoft’s servers will be hit hard the first few days of its release. But, if you want to wait, you will have 1 year to take advantage of the free OS. After that, it is uncertain what the pricing options will be.